From 10-11 November, Watershare members met in Stockholm for their 2016 annual meeting to discuss the community’s progress and planning. 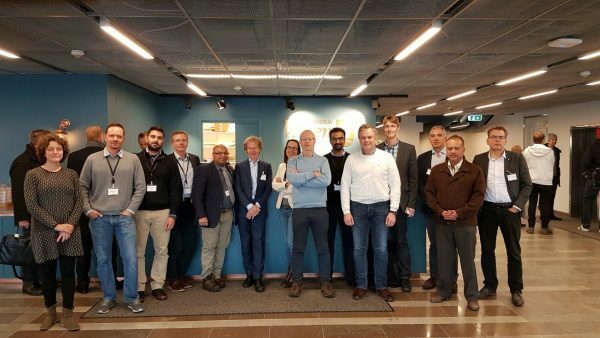 The meeting was kindly hosted by Watershare member Svenskt Vatten, the Swedish Water and Wastewater Association (SWWA). The meetings took place at the Swedish Water Innovation Center, the Swedish Environmental Research Institute IVL and Stockholm Water. At the meeting Watershare welcomed three new members, namely: Victoria (Mexico), the Japan Water Research Centre and the University of Southern Queensland (Australia). Watershare now counts 18 members from all over the globe. This year members started to work together in five Communities of Practice (CoPs), each covering a global priority theme in the water sector. These themes are Subsurface Water Solutions, Future-Proof Water Infrastructures, Resource Recovery & Upcycling, Emerging Substances and Resilient Urban Water Management. The objective of each CoP is to share and pack knowledge into practical tools, which are then applied to local and regional application references to tackle global and frequent water challenges. At the Stockholm meeting each CoP made a presentation on its progress as well as its plans for tool development and application references. Altogether, Watershare currently counts 26 tools and 38 application references. The Emerging Substances CoP (presented by Vito) has already met twice. The CoP was officially launched last July at the Singapore International Water Week. Members developed a schedule for (virtual) meetings and prioritized topics to work on. This includes sharing of knowledge and expertise related to laboratory facilities, the development of tools for a Total Water Safety Plan, and the further development of existing tools such as Abates and QMRA. The Subsurface Water Solutions CoP (presented by KWR) was officially launched last October at the IWA World Water Congress in Brisbane. This CoP is already operating at full speed with many internationally leading tools and application references. At the meeting opportunities for new tools and applications were discussed as were plans for meetings and training sessions. The Resilient Urban Water Management CoP (presented by NTUA) started its activities recently. The CoP focuses on further developing the UWOT and City Blueprint tools and applying them in urban areas. UWOT enables cities to ‘stress test’ their urban water system under different future scenarios. At the meeting Watershare members expressed interest to team up in developing application references of UWOT in cities in their region. A short-term priority of this CoP is a joint proposal for the EC H2020 call related to water in the circular economy. The CoP intends to organise a meeting and training session connected to the Assessing Resilience at the City Level at the Dresden Nexus Conference (17-19 May 2017). The CoP will be officially launched at the Amsterdam International Water Week (30 October-3 November 2017). The Future-Proof Water Infrastructures CoP (presented by KWR) and the Resource Recovery and Upcycling CoP (presented by KWB) are about to start their activities. Both CoPs have excellent opportunities for application references, such as for the self-cleaning networks tool in urban development projects in Mexico. Candidates for new tools are a database for pipe inspection technologies and decision support systems to promote the reuse of water, energy and nutrients from water and wastewater. KWR and KWB will shortly take next steps to activate these CoPs. Besides the CoP presentations, Watershare members announced new tools to be uploaded into the Watershare Suite of tools. These include tools related to object-oriented hydrological modelling of water flows in urban and catchment areas, options to address arsenic in water resources, bioremediation of nitrate in aquifers, and stochastic simulation and optimisation methodologies. Along with the already existing tools, these new ones will provide a solid basis for further activities in Watershare’s five CoPs. For each tool opportunities for collaboration and knowledge sharing within the CoPs will be pursued. Once again, the meeting demonstrated the need for collaboration at a global level, since many regions worldwide face similar water problems. Presentations by our host Daniel Hellström from SWWA, and by connected water research institutions and utilities, showed that Sweden does not escape the global challenges. 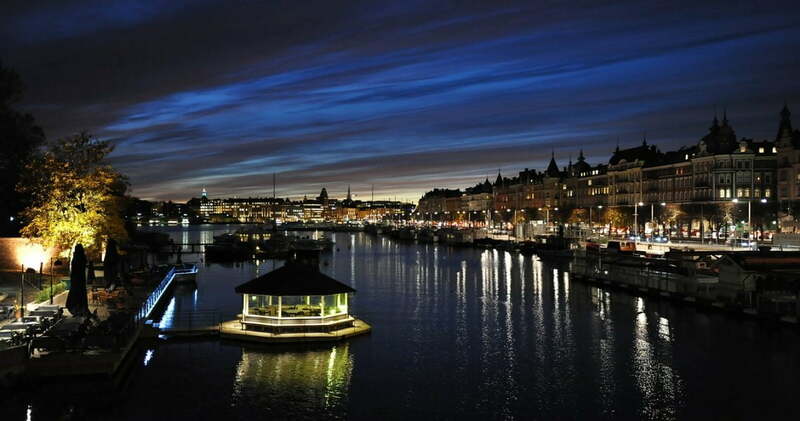 Perceived as a country with abundant water resources, Sweden is now coping with freshwater scarcity on a local scale. Driven by other challenges as well, over the past ten years the water and research sector in Sweden has enhanced its research and innovation efforts. Prominent examples are the launch of the SWWA research programme, and the foundation of the Swedish Water Innovation Center in Stockholm with impressive pilot plant facilities. The SWWA research programme is executed by four clusters of research organisations and water utilities, each of which with a specific focus. The annual meeting offered excellent opportunities to strengthen the connection between the Swedish water sector and Watershare. The four SWWA research clusters are instrumental for a continued fruitful cooperation. Watershare attendees at the Stockholm annual meeting. 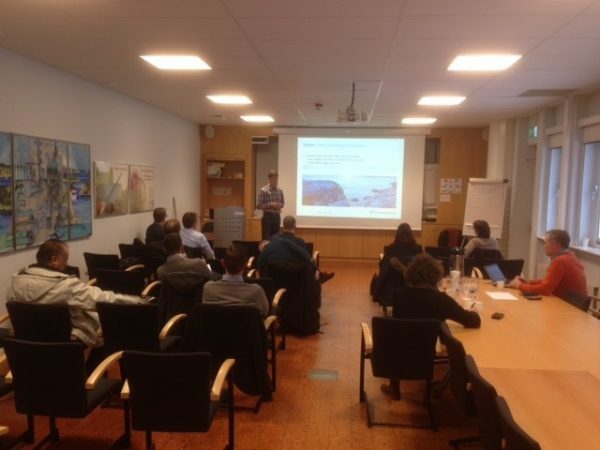 Daniel Hellström (SWWA) presents challenges and innovations in the Swedish water sector.